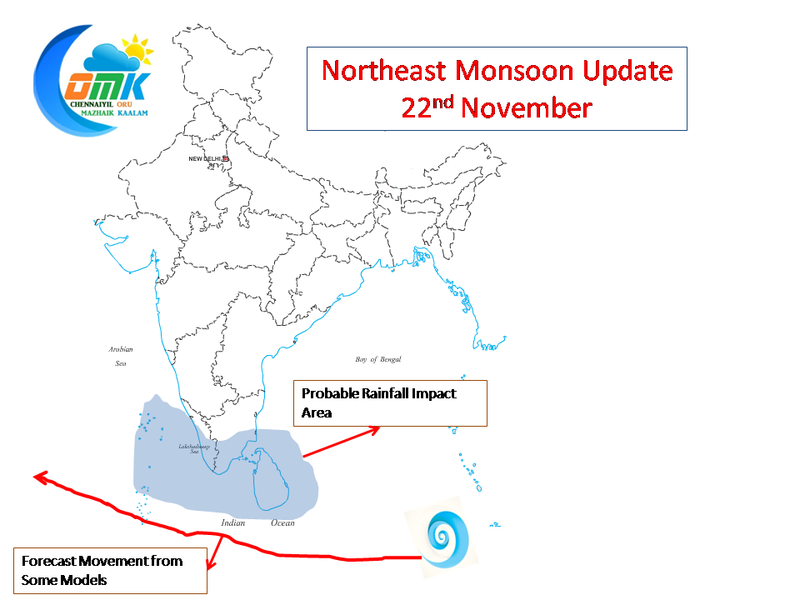 The low pressure trough off the Sri Lankan coast gave a lot of rain to South Tamil Nadu and has moved towards Lakshadweep. Its effect would come down slowly in a day or two.In the meanwhile West of Sumatra there is a strong Upper Air circulation that’s showing signs of development. 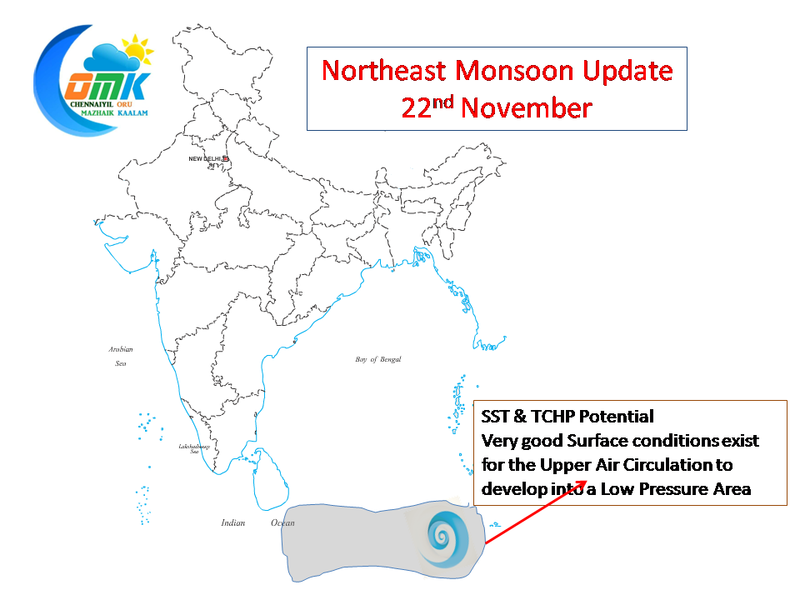 It is at an area very conducive for development, possibly at the best place in whole of North Indian Ocean Basin as far as surface conditions are considered. The Circulation is also supported by atmospheric conditions with area showing very low shear with no signs of increasing shear expected over the next couple of days. While there is some divergence in the models on whether it can develop into a disturbance or not in the days to come we think there is a strong possibility of this developing on account of very good surface and atmospheric support in and around that area. Some models suggest it could develop into an organized disturbance and move along in a Westerly direction cross Sri Lanka to its south and move onto the Arabian Sea to become a cyclone. 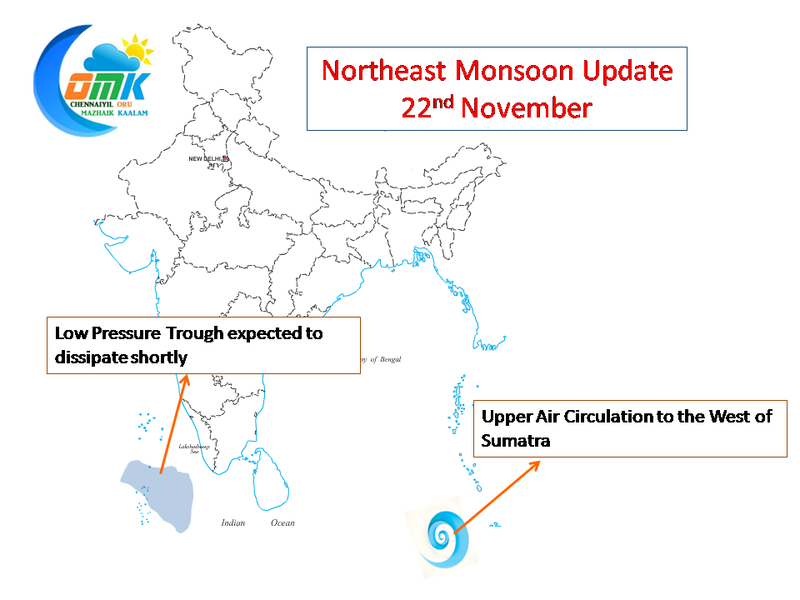 This could spell further more dry days for Chennai with very little possibility of a sustained spell of rainfall until may be first week of December. There is a strong possibility of a Westerly movement of this system as it develops but on account of entering into a moderate shear zone with increasing tendency early in its life cycle we feel it may not develop into a full fledged system. Additionally the surface conditions over Arabaian Sea is not the most conducive for cyclones to thrive on. 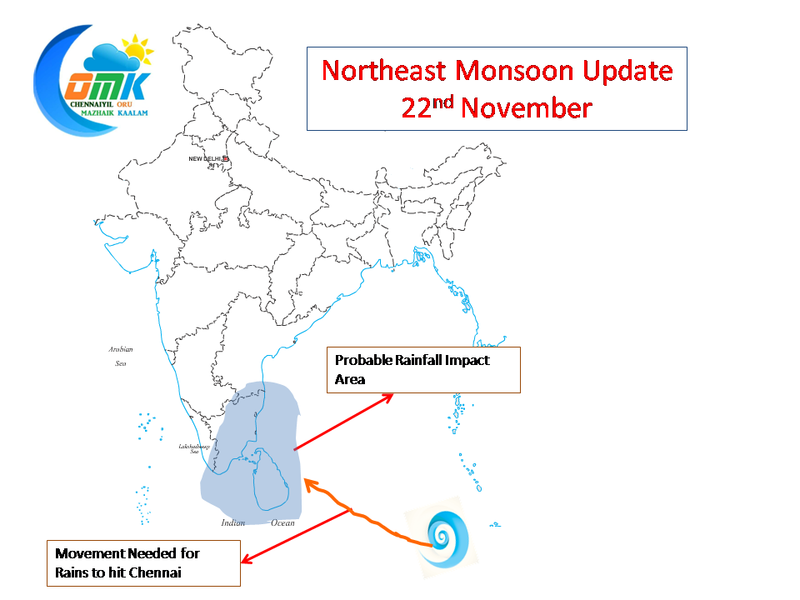 What is needed for Chennai is a slight WNW path towards Sri Lankan coast. 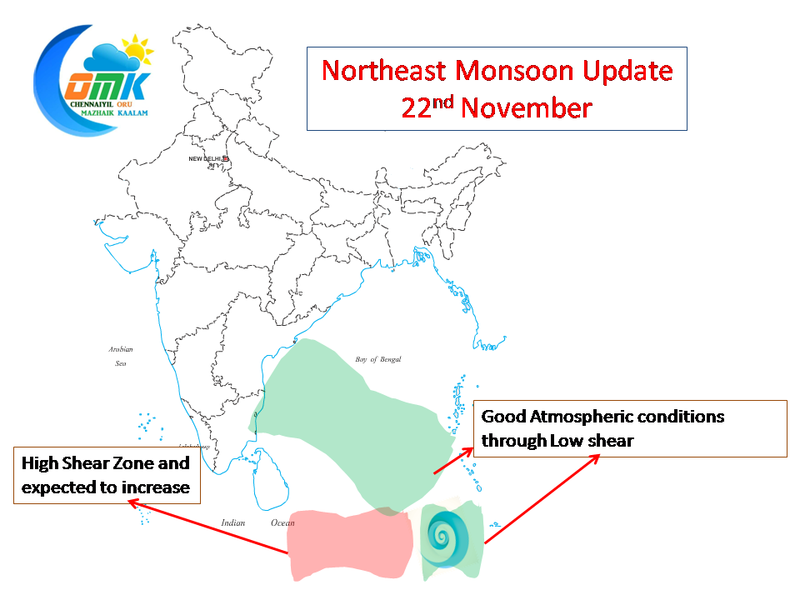 Not only would this allow the system to travel into a zone of good support both from surface and atmosphere it is our best bet in terms of rainfall as far as Chennai is concerned.